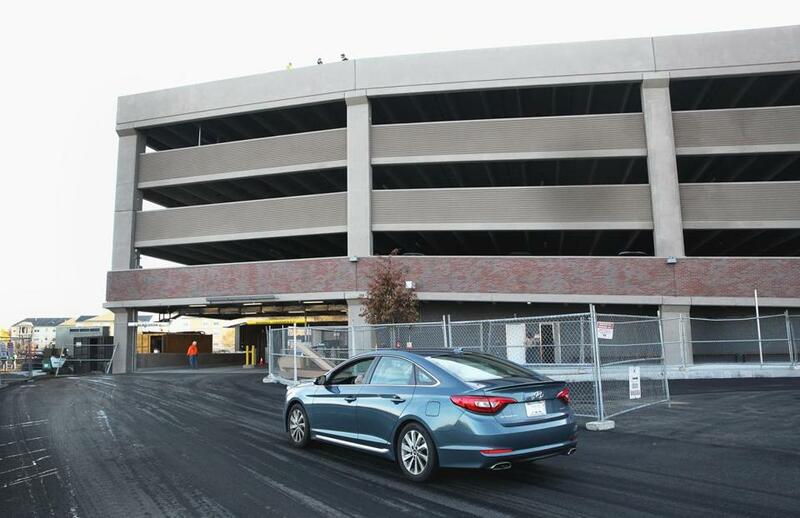 The parking garage at the Salem commuter rail station, which opened in October 2014, can hold 715 cars. SALEM — The waiting room at the new $44.5 million Salem MBTA commuter rail station was built to keep passengers dry and safe during stormy weather. Window area beside the ticket kiosk at Salem commuter rail station on Sept 30. But Pamela Schmidt found the room soaked with water when she arrived amid a heavy rain storm on the morning of Sept. 30 to take a train to Boston. “The windows appeared to be leaking. The ceiling was dripping. The ticket kiosks were standing in pools of water and the wooden benches were soaked,” said Schmidt, a community college professor who commutes from Salem. “Why couldn’t they waterproof it? Other commuters also are puzzled about how the rain gets into the waiting room, which is on the ground floor of the station. The train platform is below (there are stairs and an elevator) and the parking garage above. A coastal storm dropped 2.46 inches of rain on the Boston area on Sept. 30, boosting the rainfall total to 4.6 inches in September, according to the National Weather Service in Taunton. The MBTA first became aware of the water issue in May, and it appears to be limited to severe weather events, said spokesman Joe Pesaturo. One point of entry could be the upper-floors of the five-story garage, which are not enclosed, Pesaturo said. 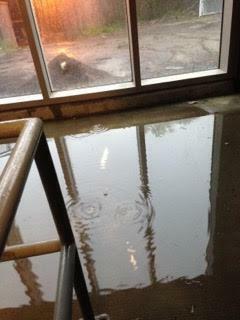 “There is a possibility that some water may come down the stairs during heavy rainfall,” he said. Until the problem is corrected, the water is being left to dry naturally. “The water evaporates and goes to floor drains,” Pesaturo said. Consigli Construction of Boston was the general contractor for the station, which opened to the public last October. The station includes a 715-space, brick-and-glass garage that was built on the former site of a parking lot. On average, 450 vehicles park in the garage each day, according to Pesaturo. The MBTA station was built with $36.8 million in state transportation funding, and $4.8 million in federal funding, according to the T.
The waiting room was one of several amenities, along with a bike storage area and curbside pickup, intended to make the station more customer-friendly.